Need a reliable, efficient and knowledgeable Mac specialist? London based Them Digital recognise how vital your Mac is to you and your business. Our specialist Mac engineers offer a full range of Mac consultancy, support, and sales to small and medium sized businesses in greater and central London. We provide a range of innovative solutions to help our clients excel. Whether you have an emergency Mac support issue and need immediate assistance, or are looking for a Mac specialist in London who can help you get the most out of your systems, contact us today for a free, no-obligation discussion. We support a wide range of businesses and also specialise in setting up graphic design and production studios. Peace of mind that your Apple Mac, Apple laptop, Apple desktop or i-pad is in good hands. A one-stop shop for Apple Macs. We can supply, install and maintain equipment or source it for you. We provide our clients with expert advice so they get the right IT solutions. Direct contact to friendly, efficient and knowledgeable engineers – no more annoying help desks! The option of Apple Mac support contracts including pay as you go, remote support and on-site software or hardware support. Convenient Mac support for businesses in the central London and greater London area. Here at Them Digital, we offer a full range of Apple Mac support services to studios and offices in central and greater London. Our Mac maintenance and support packages include pay as you go, unlimited remote support and fully comprehensive on site software and hardware contracts. Whatever level of support you require, our friendly engineers aim to have you back up and running in no time! What's more, our proactive on-site software and hardware Mac support contracts include regular maintenance visits to reduce the risk of problems thereby minimising disruption to your business. As Macs are more expensive than PCs, we find that many of our Mac clients find it beneficial to take out our comprehensive on-site hardware support contract, which includes unlimited telephone & remote support, unlimited site visits, the supply and installation of replacement parts and the loan of a machine if your workstation is sent away for repair. Click here for full information on our Mac Maintenance and Support services. 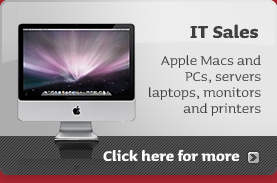 Mac specialists Them Digital provide sound advice and practical assistance to help maximise your business efficiency. We offer a full spectrum of Mac consultancy services to clients in central and greater London. Whether you want help to set up your studio or office, or need guidance to ensure you have the most effective system in place for your business, we can assist you. We specialise in setting up design studios for advertising agencies and can help you set up a complete, cost effective system. We provide specifications, advice and can supply and install the equipment and software on site to ensure you have all you need for an entire working graphic/production studio. Here at Them Digital we provide ultimate peace of mind as we charge our consultancy projects on a complete project basis so there are no rising costs. What's more, we work hard to ensure that all consultancy projects are completed on time. Click here for full information on our Mac Consultancy services. Whatever your Mac hardware requirements, we are a one-stop shop for Apple Macs and related equipment. We sell the i-pad, Apple Macs, Apple laptops and Apple desktops, including the Mac Pro, Mac Mini and the iMac as well as Apple monitors, displays and software. As Mac specialists we can supply, install and maintain your Apple Mac and related equipment, or simply source it for you. We can also supply and install Mac software to suit your business needs. Whether it is a single computer you want, or a fully equipped office studio, Them Digital is on hand to provide advice, support and assistance to ensure you have the best possible set up to suit your business requirements. We work with customers throughout central and greater London including: N1, N2, N3, N4, N5, N6, N7, N8, N9, N10, N11, N12, N13, N14, N15, N16, N17, N18, N19, N20, N21, N22. NW1, NW2, NW3, NW4, NW5, NW6, NW7, NW8, NW9, NW10, NW11. E1, E2, E3, E4, E5, E6, E7, E8, E9, E10, E11, E12, E13, E14, E15, E16, E17, E18. W1, W2, W3, W4, W5, W6, W7, W8, W9, W11, W12, W13, W14. SW1, SW2, SW3, SW4, SW5, SW6, SW7, SW8, SW9, SW10, SW11. WC1, WC2. EC1, EC2, EC3, EC4. SE1, SE3, SE5, SE8, SE9, SE10, SE16, SE19. Contact us now for a friendly chat to find our more about how we can support you!